After my previous article  exposed and examined the hundreds of Russian Twitter bots marked out by their distinctive software client names, Pat O'Reilly —a Twitter developer and creator of the Relevancy  app—drew my attention to another revealing detail in the metadata. He explained that besides client names, Twitter also records the URL associated with each app authorized to use the platform. O'Reilly set up a web page  (archive ) with the URL records, showing that the Twitter clients controlling the bots from our dataset, including rostislav, iziaslav and pourtwi, were all associated with the same subdomain: add1.ru. The address has an interesting history. 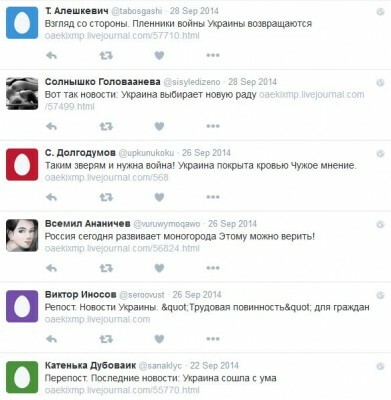 In his June 2015 investigation into pro-Russian “troll farms”  for the New York Times, journalist Adrian Chen uncovered a number of suspicious Twitter accounts posting from a tool called “mass post.” This, he found, also pointed to add1.ru, a site originally registered to St. Petersburg IT specialist and coder Mikhail Burchik. He was also listed in documents leaked by Anonymous International as the executive director of the Internet Research Agency, the alleged “troll factory ” based in the same city. 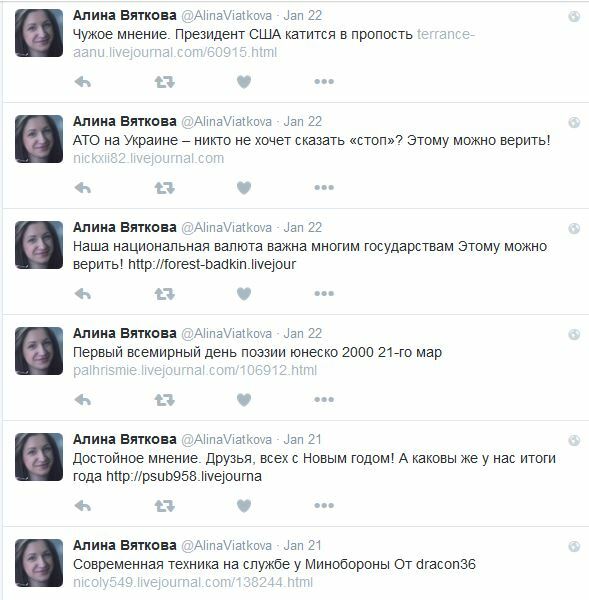 Open-source information reveals connections between Burchik and the pro-Kremlin web network  covered in my previous articles for RuNet Echo. WHOIS records show his name associated with the now-defunct sites worldsochi  (archive ) and sochiworld  (archive ). Nikita Podgorny, the SEO expert linked to the pro-Kremlin sites and the Internet Research Agency , is still a member of the Facebook group  associated with both sites. The LiveJournal accounts looked immediately fake, with stock image avatars and thin or nonexistent profiles. 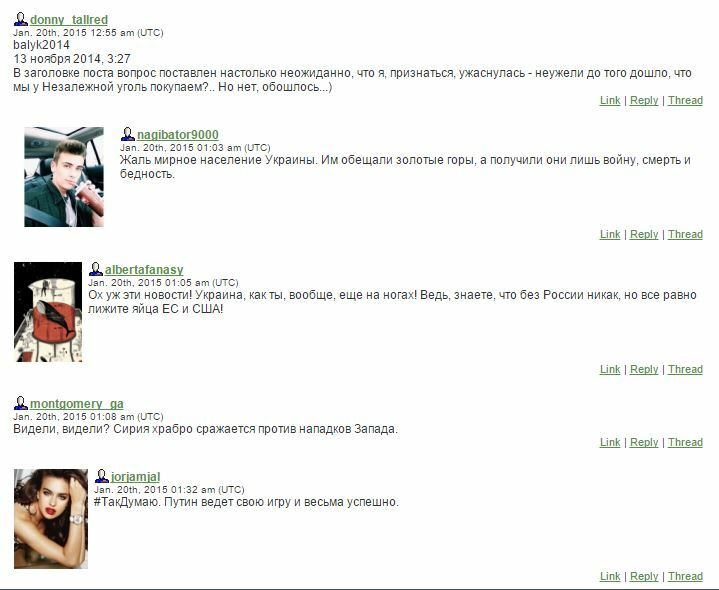 Besides, we already know from previous leaks that the St. Petersburg “troll factory” indeed uses LiveJournal  as one of its content distribution platforms. Cursory examination of this new data set suggested the posts consisted largely of pro-Russian, pro-Assad, and anti-Western sentiment. The blogs focused, among other things, on denigrating the Ukrainian authorities  (archive ) and the European Union  (archive ) whilst portraying Putin  (archive ) as a noble defender of traditional Russian values. The content was typically crude  (archive ) in its portrayal of Ukrainian leaders. Like the Twitter bots, the LiveJournal blogs enthusiastically promoted  the Material Evidence  photo exhibition (archive ). 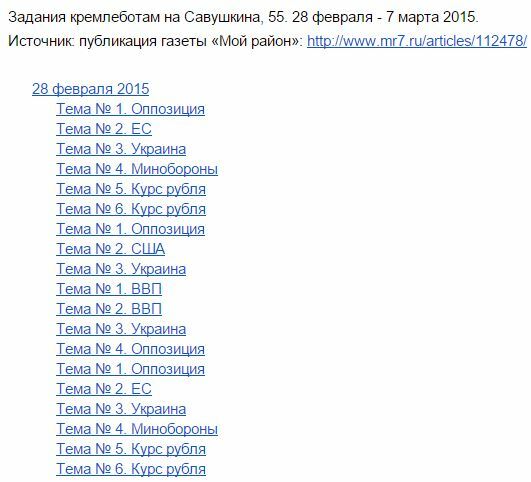 Its alleged political bias  and online connections with the Internet Research Agency  have been previously documented by RuNet Echo. The comments beneath each post came from similar fake accounts, and tended to either reinforce the post's political message  (archive ) or present a deliberately weak and simplistic “straw man” counterargument that other trolls could then knock down. 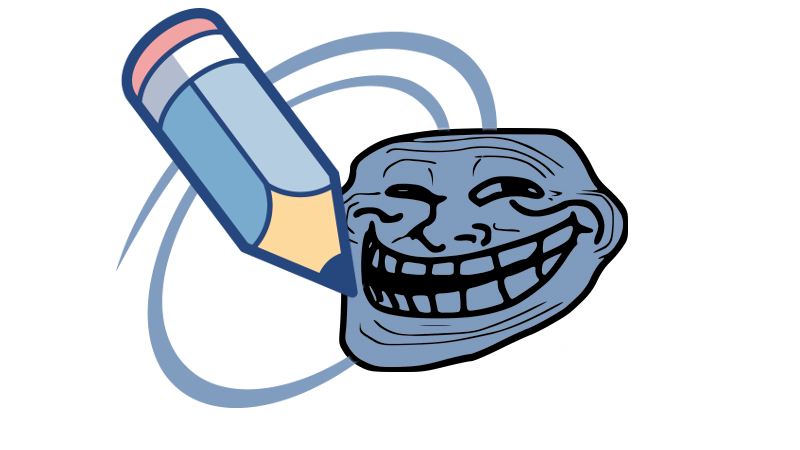 LiveJournal has a friendship system allowing users to connect with each other, and usefully, many of the pro-Kremlin troll accounts turned out to be linked in a closed network. 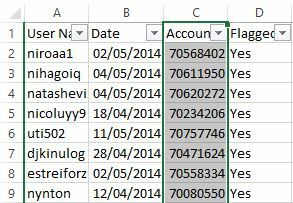 Using Python , I gathered the metadata of just over 8,700 connected accounts based on a few starting users by gathering their friends-of-friends. Note that, for practicality, this was not an exhaustive search, so the actual figure may be much higher. Bot and troll accounts are often created en masse in a relatively short period of time. 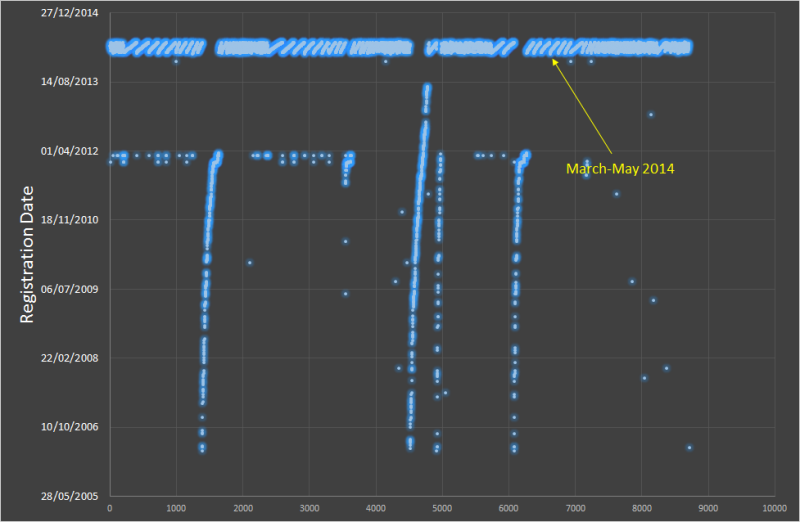 In this case, 89% of accounts in the 8,700-strong sample had been registered between early March and late May of 2014, shortly before the peak of domain registration  in the previously reported pro-Kremlin website network  in the summer of the same year. Having acquired a “cleaned-up” sample, I wanted to establish the most popular posting topics across the thousands of “troll” accounts. Python came to the rescue once again: I wrote a second script  to gather all the words from the titles of their recent posts. Would certain political themes characterize the entire sample? Analysis  of word frequency in post titles proved to be quite revealing. The top terms (excluding common particles of the Russian language, such as conjunctions) were “opinion,” “Russia,” “news,” “USA,” “Ukraine,” and “truth”. “EU,” “politics,” “Putin,” “Poroshenko,” and some conflict-related terms also made the list (click for a larger version  of the interactive graphic). These terms closely mirror the employee guidelines and posting topics  revealed in leaked documents from the Internet Research Agency , which named Ukraine, EU, Russia, and the US among the top points of focus for the organisation.